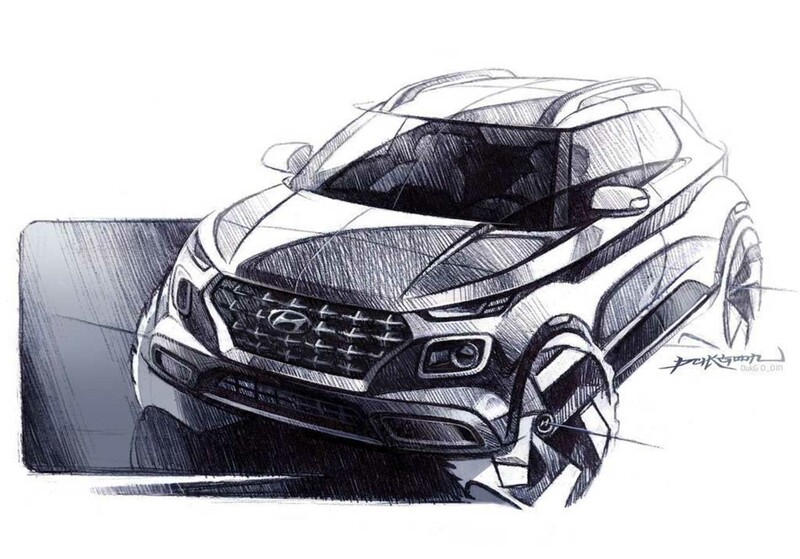 Hyundai released a new teaser of the upcoming Venue SUV revealing the interior design theme, which is completely different from any other Hyundai models. The company will preview the model in India next week followed by a global debut at the New York International Auto Show 2019. 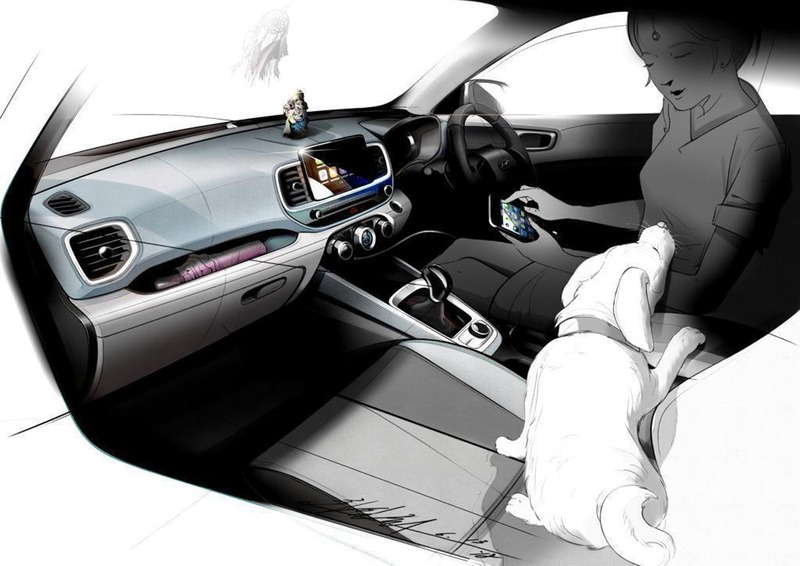 The dashboard design is new and the company has given three-spoke steering wheel for the Venue. The AC vents have a unique design and the centre console is dominated by a tablet-like touch screen infotainment system as it is expected to be a 7-inch unit with connectivity options like Android Auto, Apple CarPlay, Bluetooth and USB. The controls for the infotainment is placed below it and the climate controls get the circular design for the buttons. The UBS charging port and wireless charging pad are placed below it. The instrument cluster might be a three-pod unit with the speedometer in the middle while tachometer on the right and other things on the left side like the fuel gauge. The Venue is also the first car from Hyundai in India to come with Bluelink technology as it comes with Vodafone 4G e-sim, which is used to connect the car to the internet and the company has 33 unique features, among them 10 will be unique for the Indian market. The infotainment system also gets voice recognition with Indian English. The company has also given rear AC vents and the Venue comes loaded with lots of features like the reverse camera with parking sensors, keyless entry with push-button start, automatic headlamps, rain sensing wiper, ventilated front seats, electronically controlled exterior mirrors, 6 airbags, ABS with EBD, ESP and more. 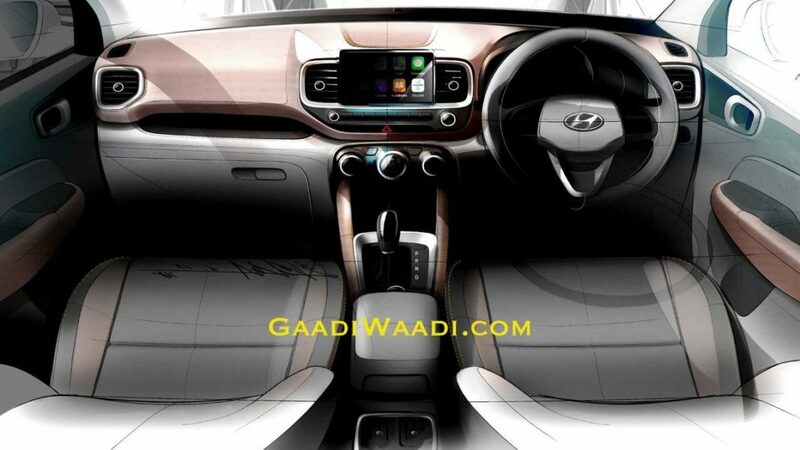 Hyundai Venue is based on the same platform as Grand i10 and the compact SUV will be powered by three engine options. The company will debut the 1.0 L turbocharged petrol engine in India with Venue and it produces 100 PS and 172 Nm. The other engine options include 1.4 L petrol and diesel engine, mated to 7-speed DCT and 6-speed manual gearbox.